I had to go to the dentist today for a cleaning. Yippee for me! 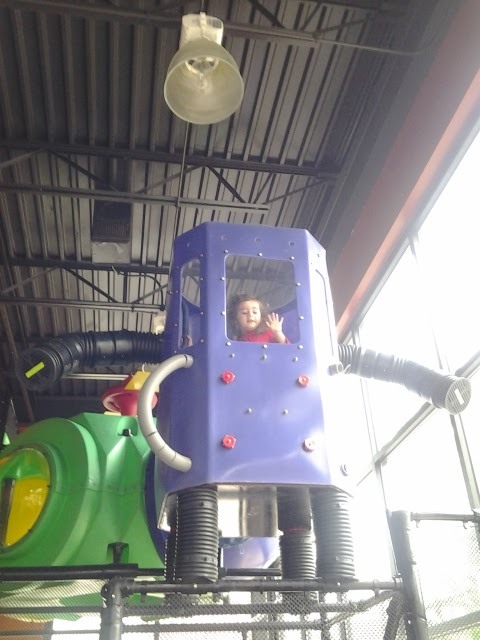 While I was there, my sister, Kelly, took Katie to McDonald's to play. AKA Old McDonald's according to Katie. Today is National Sibling Day. I am super thankful for my sibling. And not just because she babysat. Katie asked if we could get a big purple robot for home. I told her I thought it might be too big for our house. And she said, "maybe for Christmas." So Santa, if you bring a giant purple robot, please include a nice big beautiful farmhouse too. With a playroom! And maybe can the robot be pink or red? Purple is not my fave. I'm thankful for my sibling too!